Whenever you hear stories of giant space battles in Eve Online where thousands of dollars’ worth of damage is incurred over a territorial dispute, there is a temptation to sign up and start a new life as a digital privateer. Hoping to convert more of those people on the fence, CCP Games have released a new trailer for Eve Online, outlining the things you can do in its vast universe. 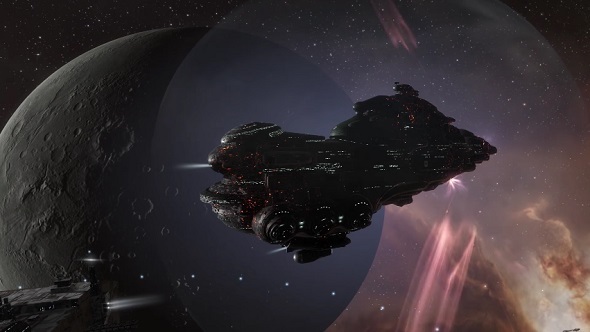 If you are looking to start playing Eve Online, our beginner’s guide is a must read. This trailer naturally starts at the beginning of your time with Eve Online, laying out the character creation process and how you pick a career path. Upon deciding which empire you belong to, the ball is firmly in your court for deciding what role you want to fulfill in the universe. Smuggling weapons, acting as a gun for hire or simply making a living as a humble asteroid miner; all of these potential options are open to players as you unlock new skills and develop your character. Once you complete the initial Mentor quests and earn your first decent ship, the doors of the universe are open to you as you determine your path in Eve Online. It’s probably best to ally up with one of the game’s several player-driven corporations, who will give you some sort of goal to work towards. With players driving the game’s internal economy (which has its own monthly financial report) and owning large amounts of in-game space, it’s only a matter of time before you get caught up in the intricate web of player politics. There are on-going factional disputes, shadowy council meetings to plan future battles and even spies which try to commit acts of in-game espionage. It does sound like something out of a space opera, the more you read about it. It will definitely take you a while to build up to a giant capital ship or to be the CEO of a huge corporation, but you could end up as one of the combatants in an upcoming space battle which could end up causing thousands of dollars’ worth of damage. If you play your cards right, you can even finance your own subscription fee based on your dealings as a trader or a smuggler. With Eve Online now being free to download and try out, why not give the life of a space pirate a go? Just remember to insure your ship whenever you go flying into a dangerous sector.